(WTOL) - You can almost hear those sleigh bells jingling, smell the chestnuts roasting on an open fire and see the halls decked with boughs of holly. 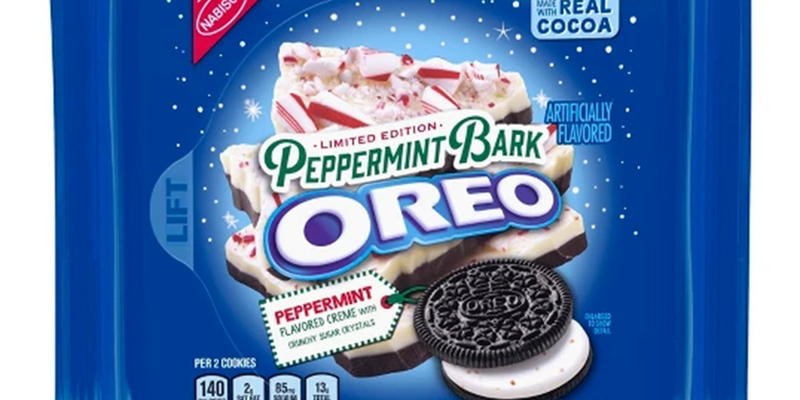 If you weren’t excited enough for Christmas, Oreo has released new Peppermint Bark Oreos just in time for the holiday season. The packaging says the cookies are filled with peppermint-flavored creme with crunchy sugar crystals, giving you the same flavors and texture of real peppermint bark. Delish says there are reports the cookies with hit the shelves on Oct. 29, just a couple days before Halloween. The limited-edition cookies can already be found on stores' websites such as Walmart and Target, but are selling out fast, according to Delish. Hopefully Santa isn’t already hoarding them.